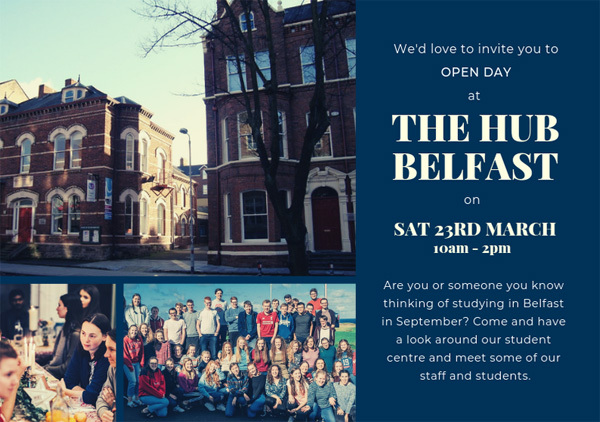 The Church of Ireland and Methodist Chaplaincy at The Hub, Belfast, is holding an Open Day on Saturday March 23 from 10am – 2pm. If you are studying at university or college in September 2019, you can apply to live at The Hub, a Christian community on the Queen’s University campus, where young adults studying across the city live together and support each other. Whether hanging out in community, worshipping together during the week or at church, or taking part in any of the outreach opportunities, there are loads of ways which each resident can choose to get involved. The open day is a brilliant chance to come along, see around, have a cup of coffee and a chat, and see what you think before (or after!) you apply. If you are a student thinking about living and studying in Belfast next academic year, find out more on Facebook or visit The Hub website. The Hub, Queen’s University, Belfast.